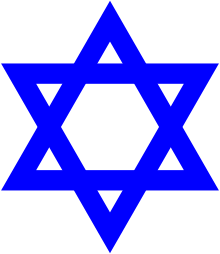 Jewish Cubans, Cuban Jews, or Cubans of Jewish heritage, have lived in the nation of Cuba for centuries. Some Cubans trace Jewish ancestry to Marranos (converts to Christianity) who came as colonists, though few of these practice Judaism today. More than 24,000 Jews lived in Cuba in 1924, and more immigrated to the country in the 1930s. But during and after the 1959 communist revolution, 94% of the Jews left for the United States and other countries. In 2007 an estimated 1,500 known Jewish Cubans remained in the country, overwhelmingly located in Havana. Several hundred have since emigrated to Israel. There was significant Jewish immigration to Cuba in the early 20th century: from Turkey following the breakup of the Ottoman Empire and from eastern Europe and Russia. By 1924 there were 24,000 Jews in Cuba, with many working in its garment industry. In the 1930s, additional Jewish immigrants came from Europe as a result of Nazi and fascist persecution; some hoped to get to the United States but decided to stay in Cuba. In 1959 before the Revolution, an estimated 15,000 Jews lived in Havana, where they had five synagogues. More Jewish Cubans lived outside the capital. Nearly 95% of Jews left Cuba for the United States after the arrival of Fidel Castro and his implementation of a communist government. As part of the middle class, some Jews were made to serve in forced labor camps in the 1960s, but they were not targeted as an ethnic group by Castro's government. Several Jews played prominent roles in the Revolution, including Fabio Grobart, Manuel (Stolik) Novigrod, and Enrique Oltuski. Since the late 20th century, a large Jewish Cuban-American community has developed in South Florida. Modern Cuba has some new communities of Middle Eastern descent, including Jewish and Lebanese populations. The Cuban Coordinating Commission, the official governmental unit for the Jewish Community, recognized 1,201 persons as Jewish in 2001 for the purpose of distributing Passover food. In February 2007 The New York Times estimated that there are about 1,500 known Jews living in Cuba, most of them (about 1,100) living in Havana. Cuba has one kosher butcher shop on the entire island. For a time it had no rabbi, but by 2007, one was based in a Havana synagogue. He often encourages visiting Jews to give Tzedakah (charity) for the Jewish Cubans and for Israel. Alan Gross traveled to Cuba to help the small Jewish community, but he was detained in Cuba from 2009 to 2014. Some Jewish Americans originally from Cuba are also fierce critics of the Cuban regime like Representative Ileana Ros-Lehtinen and academic Ruth Behar. Israel also continues to have an embargo against Cuba. Adath Israel is the only Orthodox synagogue remaining in Cuba. In December 2006, the Cuban Jewish community celebrated its 100th anniversary. ↑ Metz, Allan (1993). "Cuban-Israeli Relations: From the Cuban Revolution to the New World Order". Cuban Studies. 23: 115. Jay Levinson, Jewish Community of Cuba: The Golden Years, 1905–1958, Nashhville, TN: Westview Publishing Company, 2005.